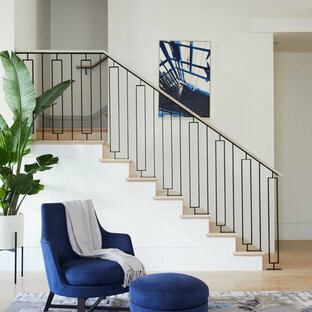 A staircase has an integral function in any multi-level home, but it can also help define the style of your home, serve as a focal point, and turn your entryway into a grand entrance. 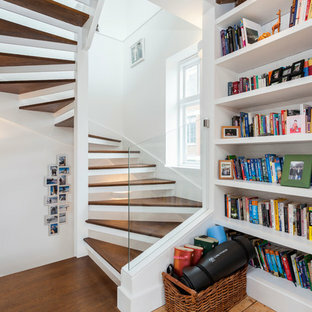 Staircases can be big projects, so it’s important that your design suits your needs and lifestyle. When deciding on a balustrade, railing and materials, take into account durability, cost, and any building regulations, too. 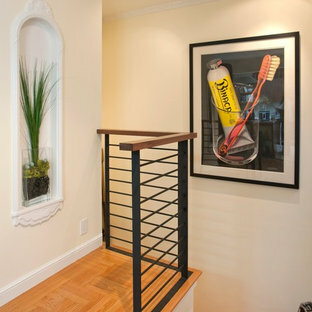 Read on for more quick tips to consider while browsing staircase designs on Houzz. 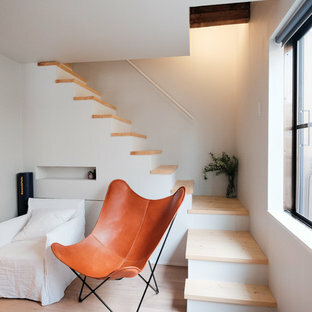 The first consideration when planning a staircase design is space. 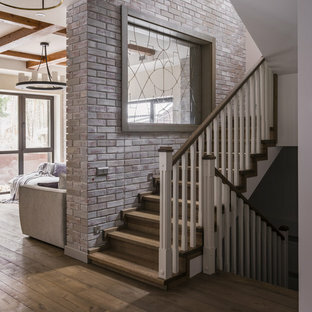 A double-sided staircase, for instance, will only work in a large area; whereas an L-shaped staircase or straight staircase are more compact options. The next step in the stair design is deciding on a style. 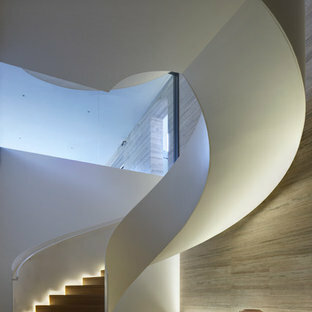 Elliptical or curved stairs offer elegance, while spiral stairs can appear more urban. 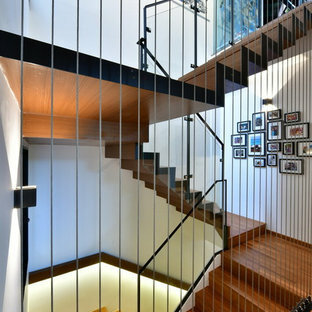 If you want a contemporary design, floating stairs are a great way to circulate light. What materials should I use for stair treads? 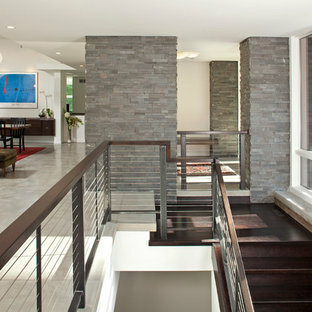 Timber stair treads are strong and timeless, but can show up scuffs. Carpeted or stone stair treads are more traditional options, whereas stainless steel and glass can be quite contemporary. 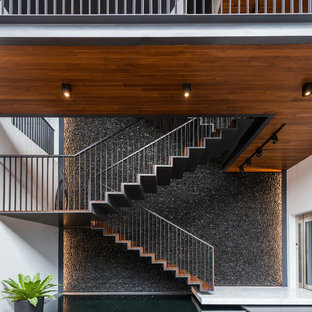 Concrete stair treads are increasingly popular for those looking to create a sculptural masterpiece out of their staircase – just imagine the effect of floating concrete stairs, daringly cantilevered. Also consider using a combination of materials to create visual interest. 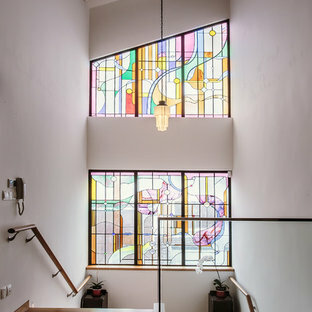 Проект загородного дома "Ilman Ori"
Stunning landing with a blackened steel and timber staircase, backed by a polished plaster wall. Light fitting is Random Light by Bertjan Pot for Moooi. Formal front entry with built in bench seating, coat closet, and restored stair case. Walls were painted a warm white, with new modern statement chandelier overhead.